Teaser out now, full film debuts February 14. Electronic Arts and Academy Award-nominated director Neill Blomkamp have announced Conviction, an original live-action short film based on BioWare’s upcoming action RPG Anthem. A teaser trailer is available now, and the full film will launch on February 14. 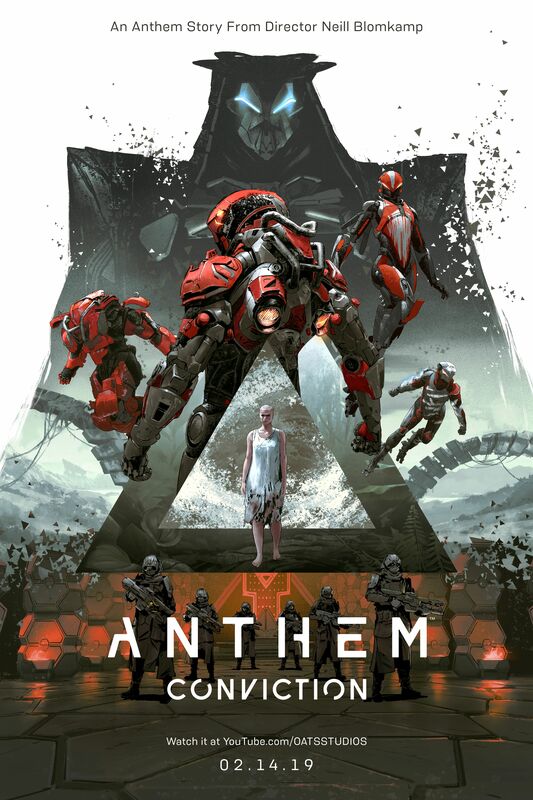 In Conviction, Blomkamp brings the vast world of Anthem to life with his own story set decades before the beginning of the game. This live-action short invites viewers to experience Blomkamp’s unique style of creating photorealistic visual effects and bringing them seamlessly into the real world, this time with EA’s highly-anticipated new game. A teaser for Blomkamp’s Conviction is now live, with the full short going live February 14 on the Oats Studios YouTube channel. In the short, people will see the player city of Fort Tarsis in the game come to life, and the freelancers that live within it. These freelancers who use Javelin exosuits, have been re-created by Neill’s team to show them in live action as they fight off the main villain and head of the evil Dominion faction, the Monitor. Watch the Conviction teaser trailer below.